I hope you all had a lovely 4th of July weekend! We had a fun time and Travis even has today off work so we are making the most of this long weekend for him. 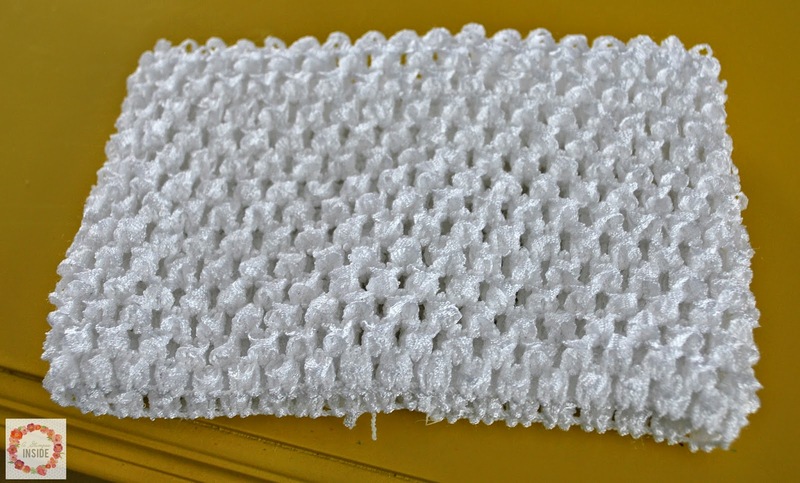 I have another easy tutorial for you today. 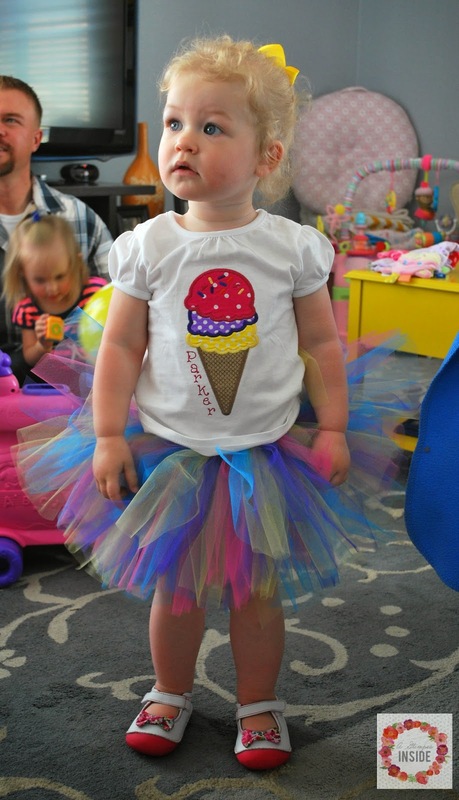 For Miss P's birthday, my mom made her a shirt to go with the ice cream theme so I decided to bust out a tutu, at the last minute, to go with it. It literally only took me like an hour to create this so you can definitely do this quickly! 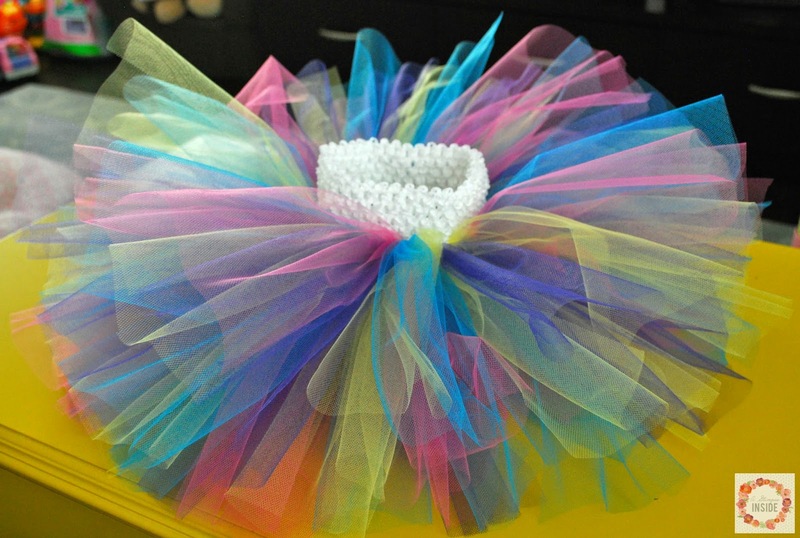 I received all items from The Hair Bow Company to make this tutu. 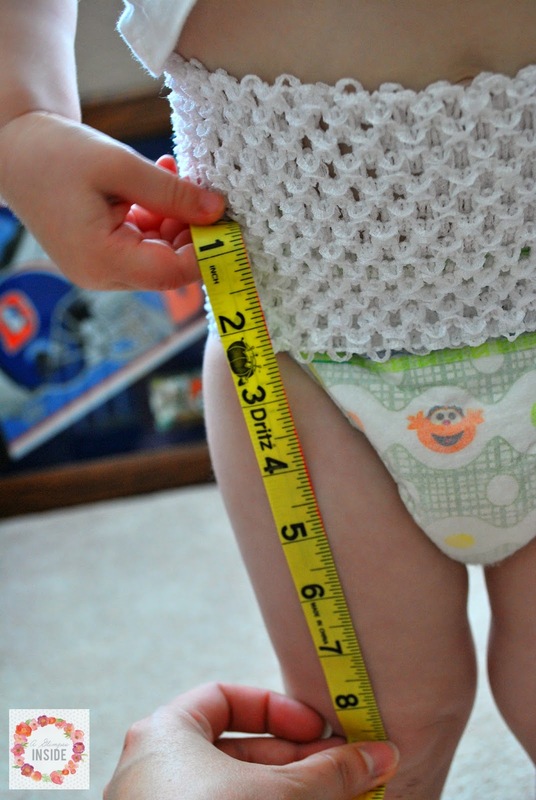 To start, measure the length that you would want your tutu. I measured from hip to knee. 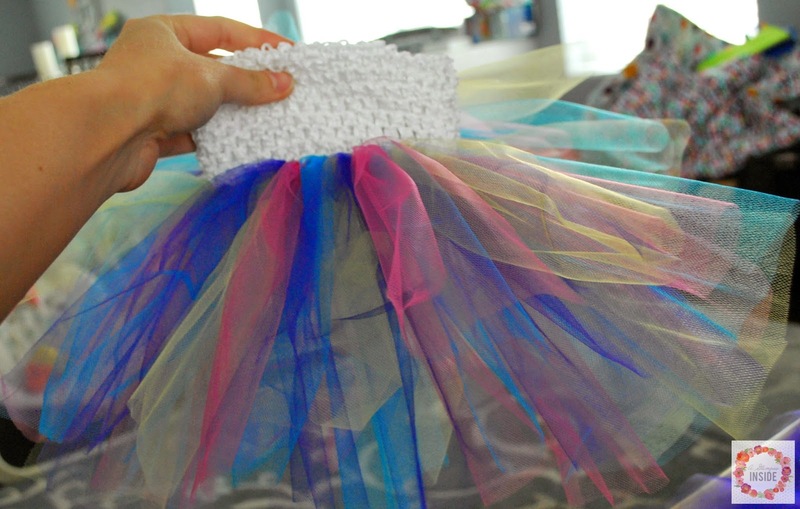 Whatever the length you measure, double it and measure out your tulle. I measured 8" so I cut my tulle to 16". I could have cut it a little longer to make the tulle lay more flat if you want. 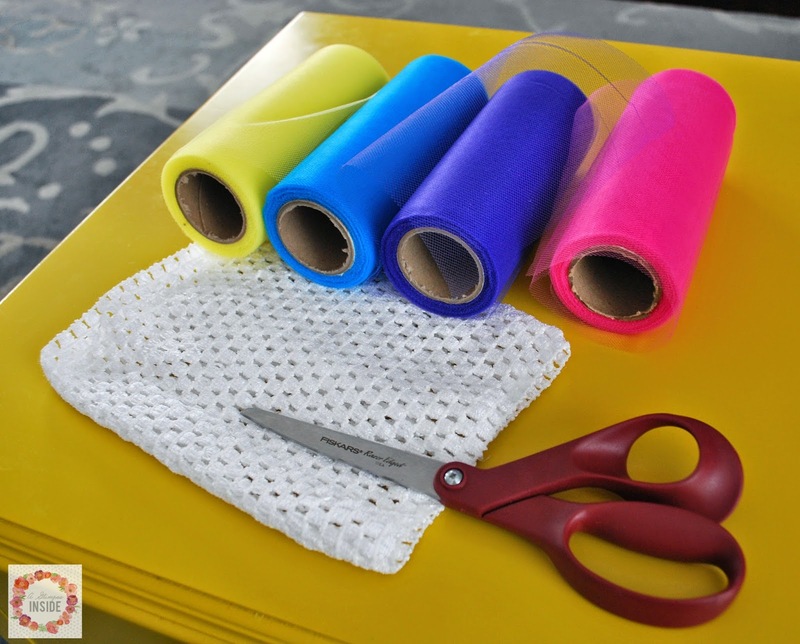 Cut tulle to desired length. 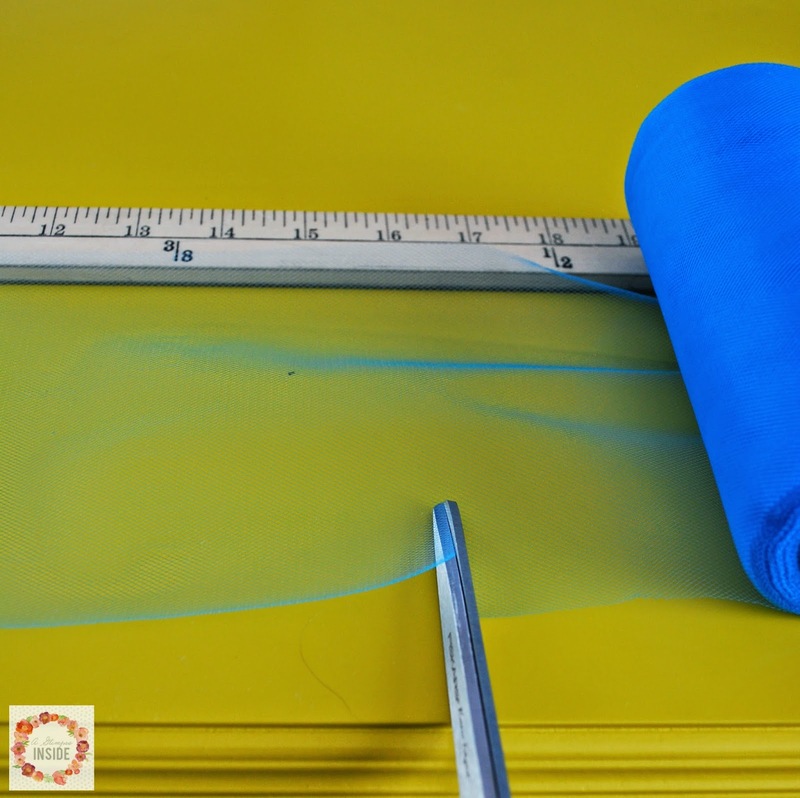 Cut quite a few pieces of each color or of the colors you are using to get yourself started. 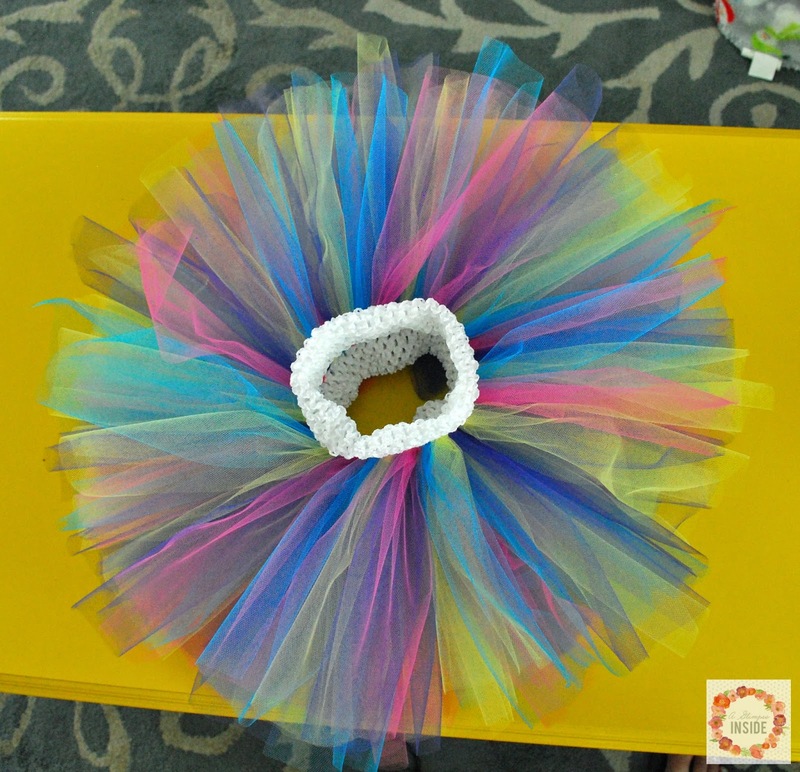 You could use this to make a tube top for your tutu and even add a strap to the top but since Miss P had a top, I went another route. 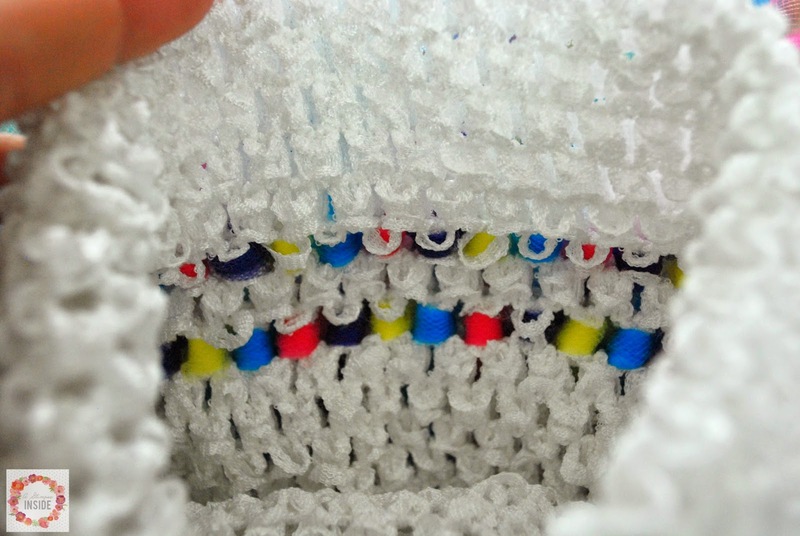 Flip the crochet top inside out. Fold the top in half. You should now have 4 layers. 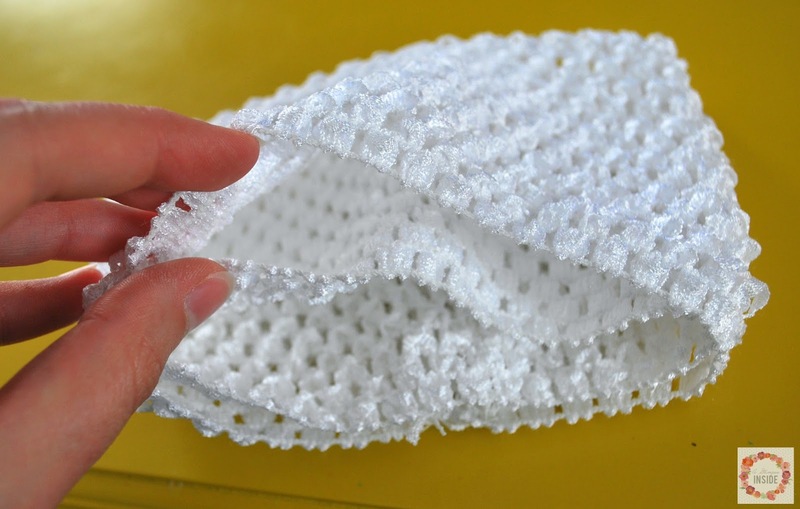 Take a piece of tulle and thread it through two holes through TWO layers. Pull so the ends are even. 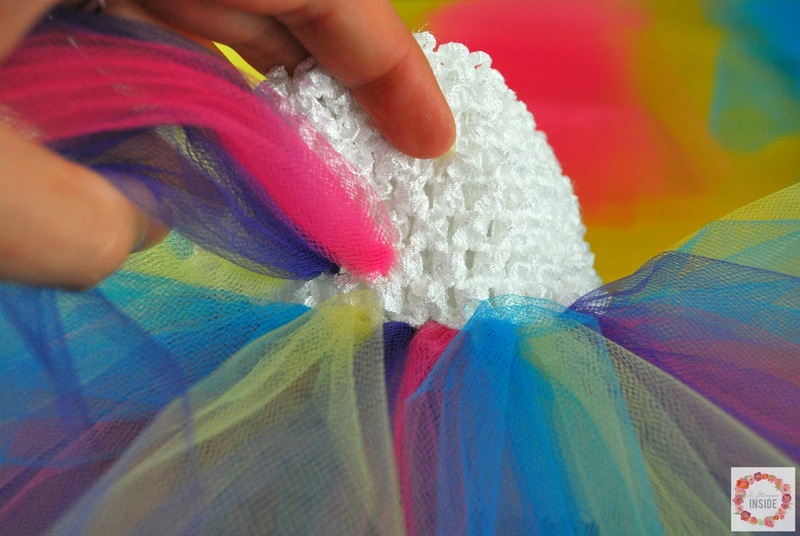 Tie the tulle twice to make a knot. Work your way around the the top, alternating colors as you go. 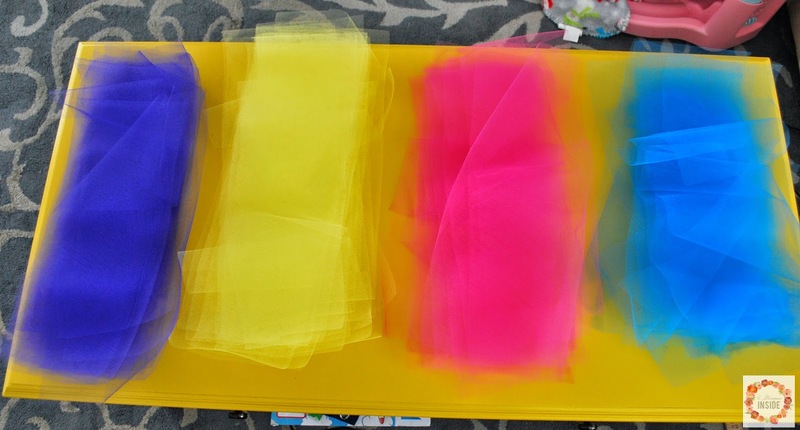 Here is one layer of tulle complete. It was good but I wanted it fluffier. 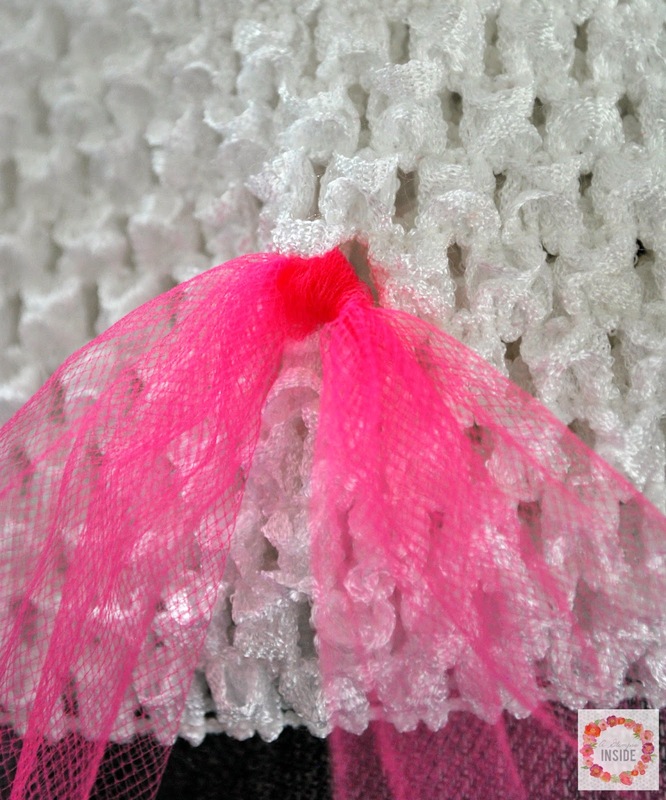 Skip a row above the finished tulle section and then string more tulle to make it fluffier. 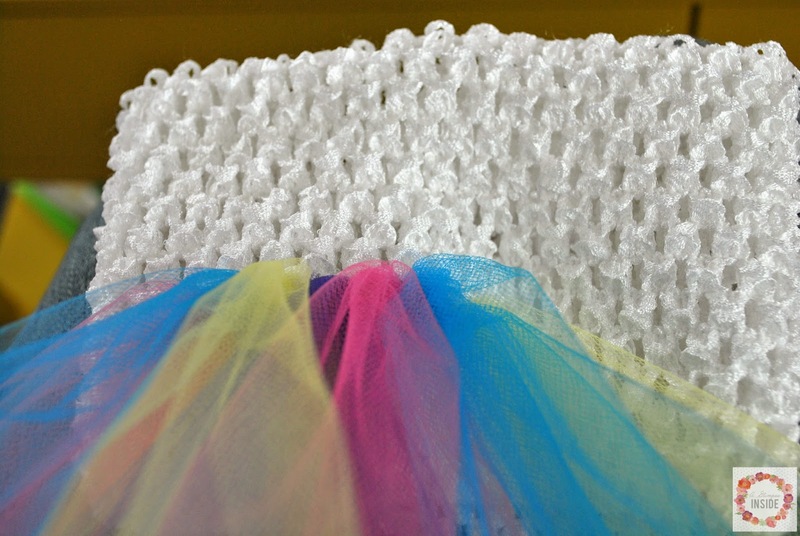 Here is the tutu all done! This is what the inside of the top looks like. It is nice and fluffy and colorful as well! 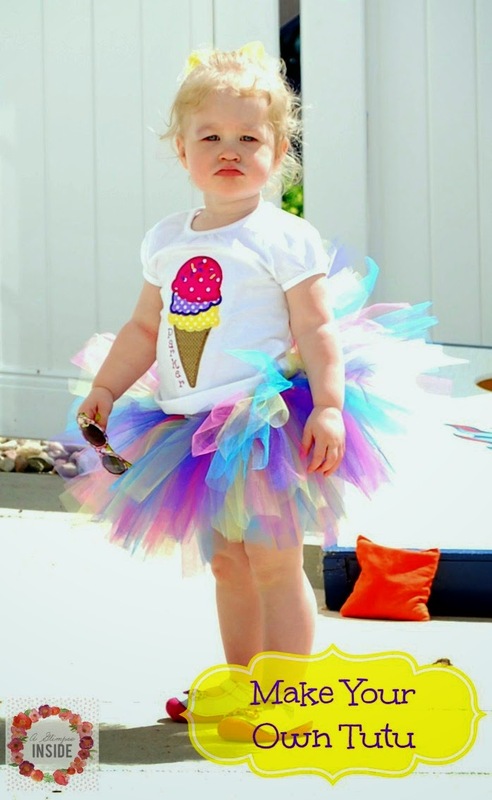 Miss P sure looked cute in her little tutu and shirt as well!! 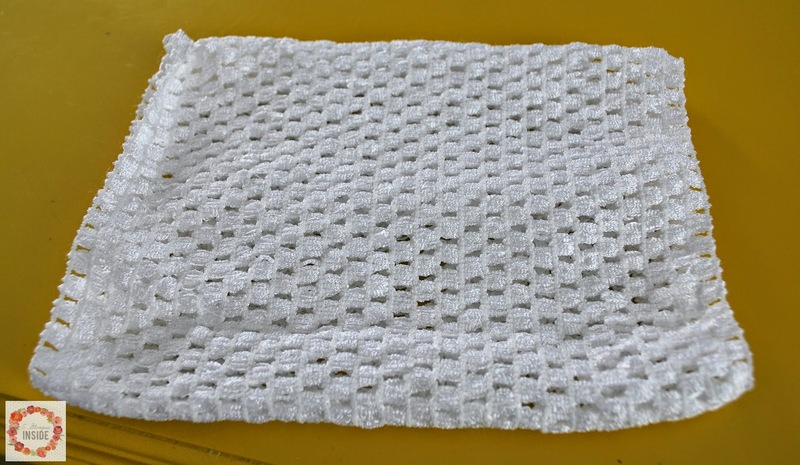 I put some fun little lacy white bloomers under it to hide her diaper. This looks too simple. Should only cost a few bucks... Thank you so much for this simple craft!!! very good detail instructions , and this little pouty lip toddler is absolutely adorable !!!!!!!! !